Social Media Week New York City: I'll Tweet To That! 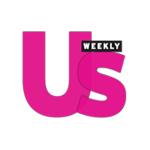 Last week New York City Held Social Media Week. The conferences took place simultaneously in New York City, Berlin, London, San Francisco, Toronto and São Paulo. The five day conference explored the profound impact that social media has on culture, business communications and society at large. 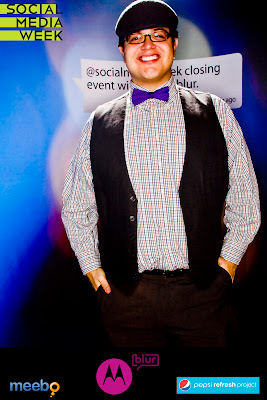 The first event that I attended was SOCIAL DIVA Celebrates Digital Divas at The Hotel on Rivington (THOR)! The event had a great panel discussing the future of fashion houses and social media. It was called "The Devil Wears Prada & Tweets About It." (Best panel name ever!) and was followed by networking and amazing music! 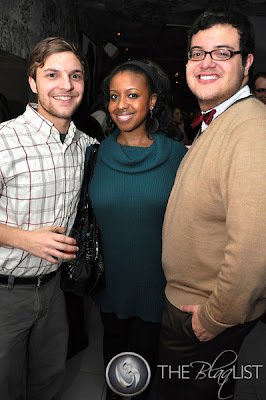 It's always fun to be photoged by TheBlaqList.com! The next night we mosied on down to the W Union Square for Social Media Gone Chic where we wee spotted by GuestofaGuest.com. 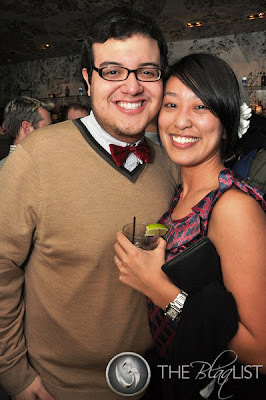 The Final event that we attended was the Social Media Week Closing party at Kiss & Fly on the West side. 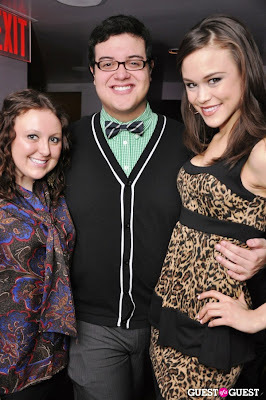 We has so much fun meeting great people and dancing the night away with new friends! 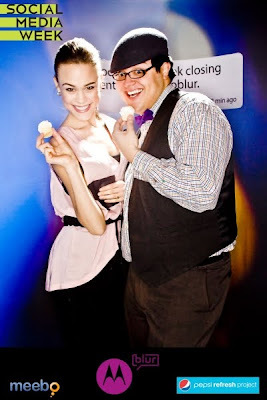 Above: Kalyn and Jonathan LOVING the amazing mini cupcakes at the party! I was so excited that I was able to be in one of the few cities that experienced social media week! Networking offline is one of my favorite things to do! Be sure to keep checking OJ&B because Fashion Week is upon us and you know that OJ&B will be out in full force! Even the blizzard outside cannot stop the fashionistas. All it is is a wardrobe change right?